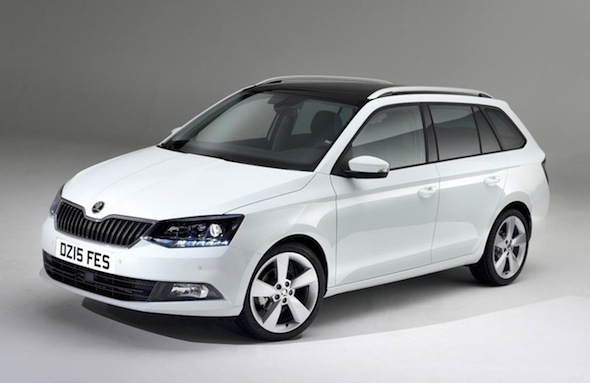 Skoda has revealed pricing and specifications for the forthcoming Fabia Estate. The all-new model will go on sale early next year, priced from £12,640. Initially unveiled at the Paris Motor Show in September, the new Fabia Estate builds on the strengths of its predecessor, namely in its generous load space. With a boot measuring in at 530 litres with the seats up, the Fabia is the most spacious vehicle in its class, and with a maximum load volume of 1,395 litres with the seats down, it's large enough to challenge cars in the larger family hatchback class. Three trim levels will be offered: S, SE and SE-L. Entry level S models are well equipped, coming with six airbags, DAB digital radio, Bluetooth connectivity and electric front windows as standard. SE models start at £13,905 and gain air conditioning, alloy wheels, a surround-sound stereo with USB and SD card inputs. Lifting the interior ambience is a leather-wrapped steering wheel and a height-adjustable driver's seat. Range-topping SE-L trim is available from £14,755 and adds to the toy count with automatic climate control, automatic lights, cruise control and keyless entry. This relatively significant reduction, along with the introduction of cleaner engines makes the new Fabia up to 17 per cent more efficient. Buyers will have a choice of 1.0 and 1.2-litre petrol engines, ranging from 74bhp-108bhp, and a 1.4-litre diesel available in 89bhp and 104bhp guises. Alasdair Stewart, brand director for ŠKODA UK said: "The Fabia Estate has always represented terrific value for money and I'm delighted that we're able to offer even more with the third-generation model. The Estate has always been key member of the Fabia family and I look forward to its arrival next year."